This is a collection of four short stories of varying length by the creator of The Hodgeheg and most recently, Lady Lollipop (reviewed in BfK 128). The longest, and by far the best of the stories, which are all about very odd children, is the title story which, predictably, is about a baby who does everything backwards - crawling, walking and eventually talking, much to the consternation of his parents and later on, his teachers. The children I read this to became very adept at interpreting some fairly long sentences uttered completely back-to-front. 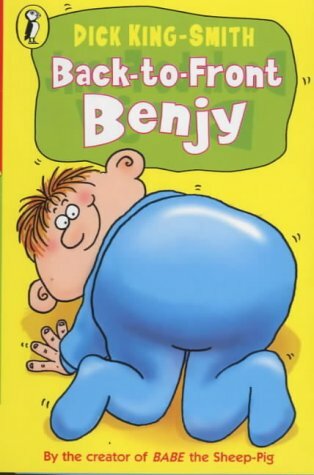 Fortunately their imitating Benjy's backward walking was short-lived! Less likeable are the central characters in 'Brown's Bones' and 'Little Liar'. Both get their comeuppance in unexpected ways. Brown, a nasty wizard, with an ability to turn people into animals using powdered bones gets fed to the cat by his girlfriend, whilst a habitual liar called Lionel gorges himself on cake to the point of being sick. 'The Hitmus-Potmus' also has a less than loveable central character in the form of the very bad-mannered Bartholomew Bean, whose favourite word is 'shan't'. A mixed bag but well worth it for the main story, which comprises over half the book. Simple occasional sketches accompany the stories, which are aimed at confident young readers.